The Austrian ATX-traded conwert Immobilien Invest SE acquires a residential property portfolio in Berlin with a yield on purchase of approx. 8.3 %. 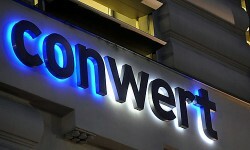 As a result, conwert expands its portfolio in Berlin by roughly one third to about 5,350 units.